If you’re looking for a place to go on your honeymoon, look no further. With its vast horizon and pure white snow banks, it’s the perfect place to remind you that the universe is beautiful and wants to kill you… just like your new spouse. Now that the Empire is in control, you’ll get some delightful sightings of AT-ATs outside your window in the morning daylight. And in the distance, you’ll see the bright flames of the dead Rebel base. 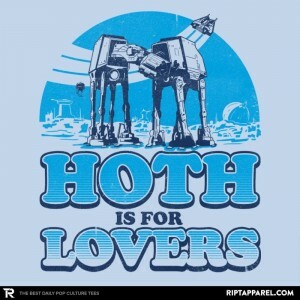 Come to Hoth! For warm greetings and cold nights.